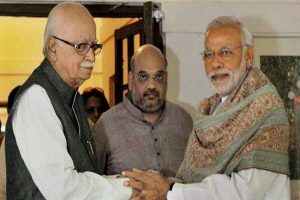 The meeting comes days after Advani and Joshi were denied tickets by the party for the upcoming Lok Sabha polls. Last month, Advani’s Gandhinagar constituency in Gujarat was snatched away, leaving him humiliated. 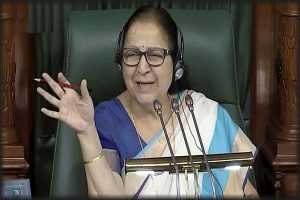 In a letter expressing her wish to not contest the polls, the MP from Indore questioned why a candidate has not been declared yet from the seat. 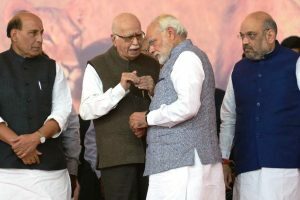 Advani’s post came just two days before the BJP’s Foundation Day celebrations and seven days before the start of polling in the seven-phase Lok Sabha election. 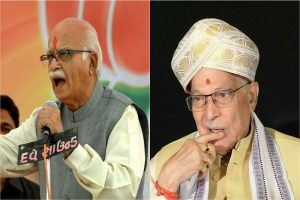 Advani wrote a blog just two days before the BJP Foundation Day celebrations and exactly a week before the start of polling for the Lok Sabha elections 2019. 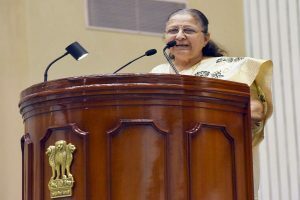 There is speculation that Sumitra Mahajan, who turns 76 on April 12, may also not be renominated. 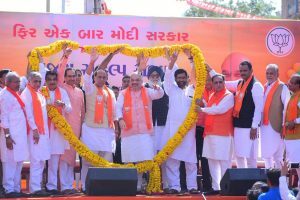 Amit Shah earlier in the day held a 4-km-long roadshow from Sardar Patel statue in Naranpura, that culminated at the Patel Statue of Patidar Chowk in KK Nagar. 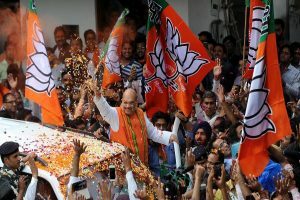 Union Minister Rajnath Singh in his address congratulated Amit Shah and said the party chief will live up to the expectations of the constituency. 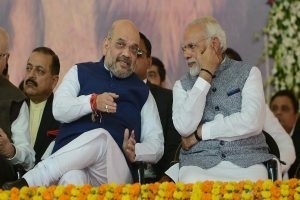 Leaders of BJP's allies and Union ministers, including Rajnath Singh and Nitin Gadkari, are scheduled to accompany Shah during filing of his nomination papers. 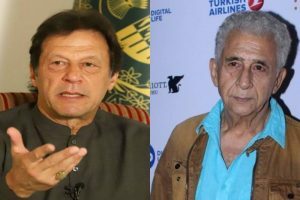 It is true that there is still scope for the party to honour the man, an official announcement about his future is yet to be made, but in public perception he has been given a decidedly unceremonious shunt. 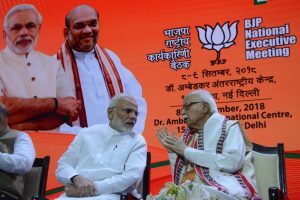 Earlier last week, the BJP had replaced veteran leader LK Advani with party president Amit Shah in Gandhinagar Lok Sabha constituency. 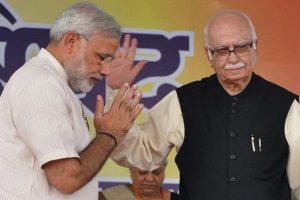 LK Advani along with Murli Manohar Joshi, was moved out of the Parliamentary Board in 2014 after Prime Minister Narendra Modi led the party to victory and Shah was made its president. 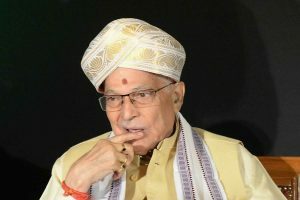 Among seniors, former President Dr Murli Manohar Joshi is also likely to be dropped though he wants to contest. 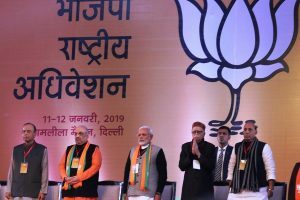 The ruling Bharatiya Janata Party on Thursday released the first list of 184 candidates for the Lok Sabha Elections 2019. 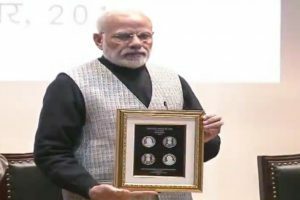 Addressing a gathering at the Parliament House Annexe here, Modi said Vajpayee never compromised on the ideologies of the party and always spoke about national interest.